The Stanley Picker Gallery is showcasing the wealth of creative organisations based in Kingston upon Thames, by hosting a special networking event aimed at teachers from our local schools. 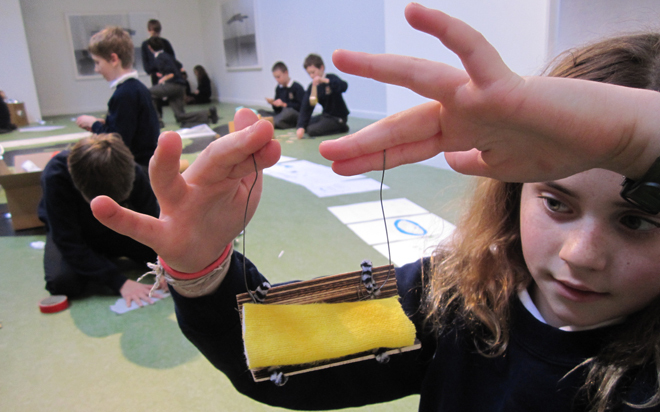 The London Schools Arts Service (LONSAS) invited the Stanley Picker Gallery to become involved with its Arts Council England funded outreach project to increase creative participation in schools which lack significant cultural engagement. The project has so far involved sourcing arts practitioners from the LONSAS arts directory to deliver taster workshops in schools in four targeted boroughs across London, in Kingston, Westminster, Barking & Dagenham and Hammersmith & Fulham. LONSAS asked the Stanley Picker Gallery to host the Kingston networking event after several local teachers spoke highly of their existing involvement with the Gallery’s successful Participation Programme. The event will provide the opportunity for teachers to build lasting partnerships with creative organisations and practitioners in Kingston, as well as for staff and students to meet Kingston University’s local creative communities. Details of the event can be found on the LONSAS website.